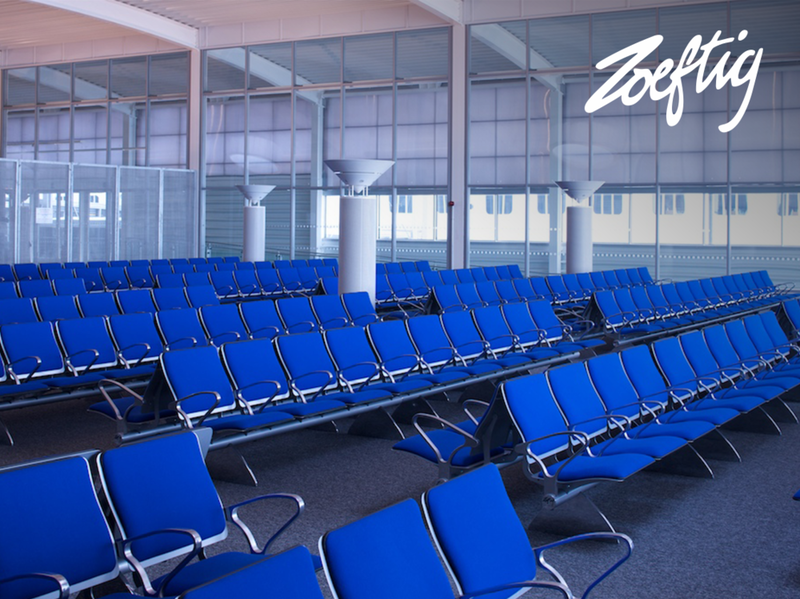 Zoeftig is a market-leading international supplier and manufacturer of ground-breaking passenger terminal seating systems. My internship developed my understanding of how international design businesses work and enabled me to understand how important the design, assembly, quantity of components and costs of a product are to winning tenders and to production. Working with the design team during the placement, gaining an understanding into the stages of designing, manufacturing, marketing, visualization, attending to the studio’s orders, producing CAD Drawings for quotes and producing graphics for exhibitions, I was able to broaden my knowledge of the routines of a design studio and business. I was also heavily involved in marketing, branding and all areas of exhibition layout. 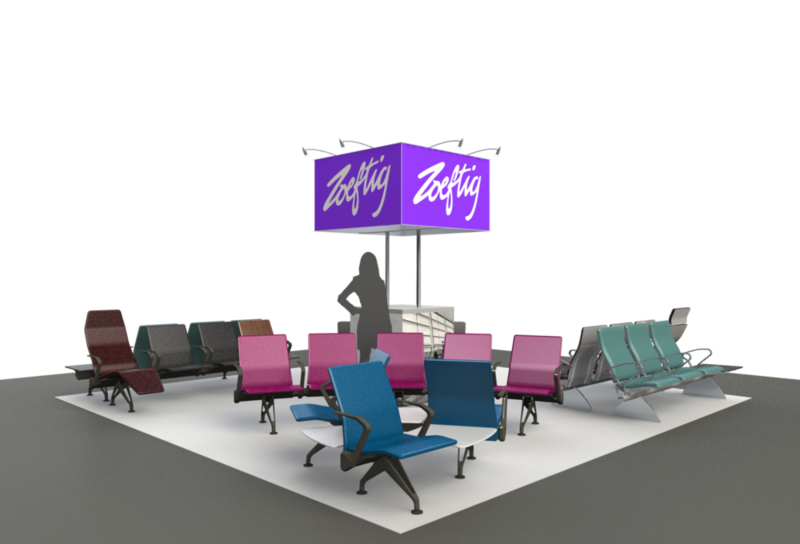 My first task was to create a CAD (Computer Aided Design) drawing that shows a step by step process of making vinyl covers to protect some of Zoeftig’s chairs and tables that were being sent to an exhibition called Passenger Terminal Exhibition (PTE) 2015 in Paris. 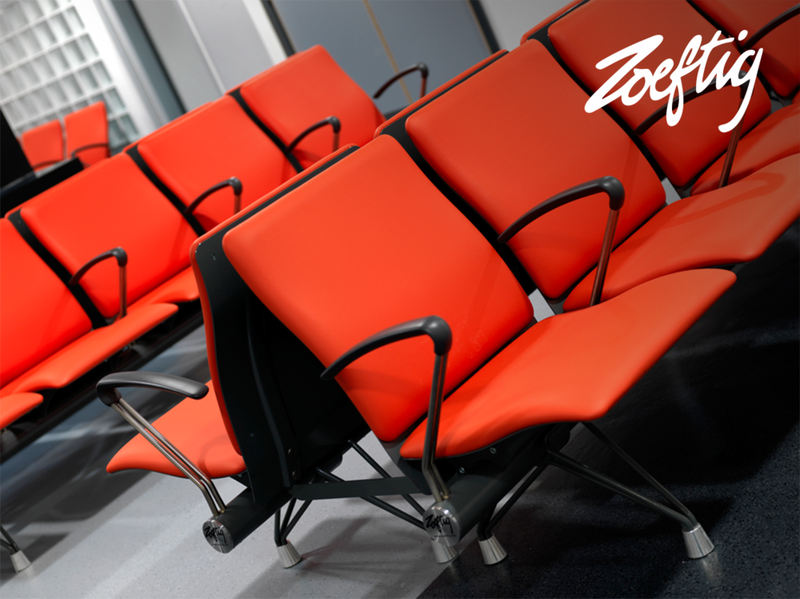 During my first week at Zoeftig I learnt that the company has the facilities to make one off design prototypes to show potential clients. 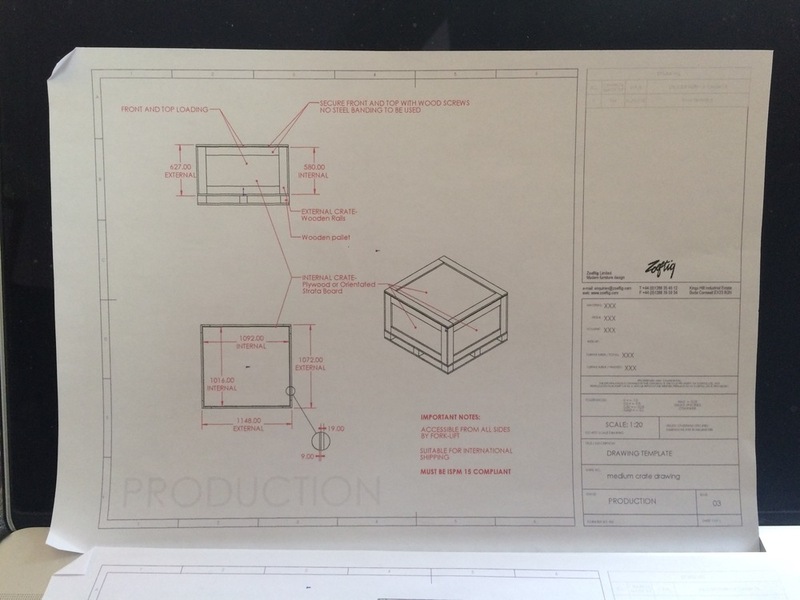 For example with the Zenky beam they produce the CAD to be prototyped, then they receive the beam, test it for material strengths and weaknesses, or if they have the materials to hand they manufacture it themselves. 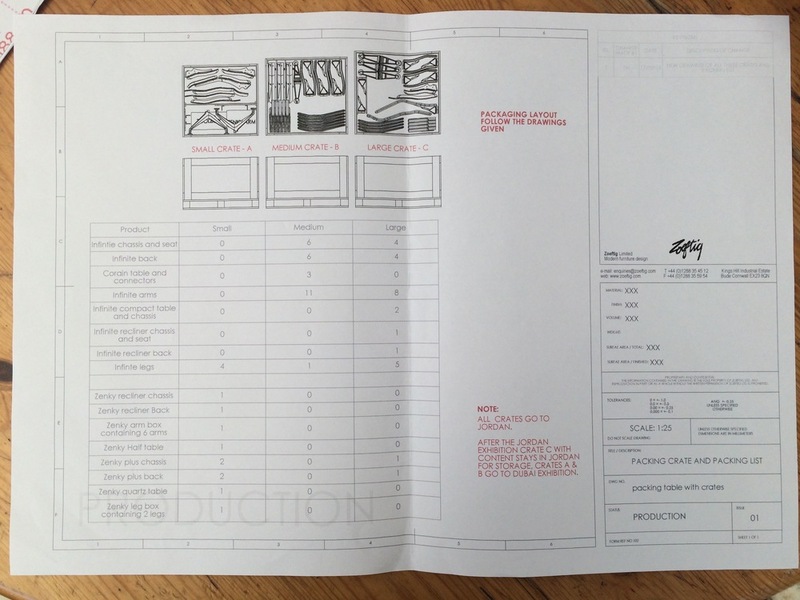 For multiple products they send it out to be produced. They also have the means to alter parts of their seats. 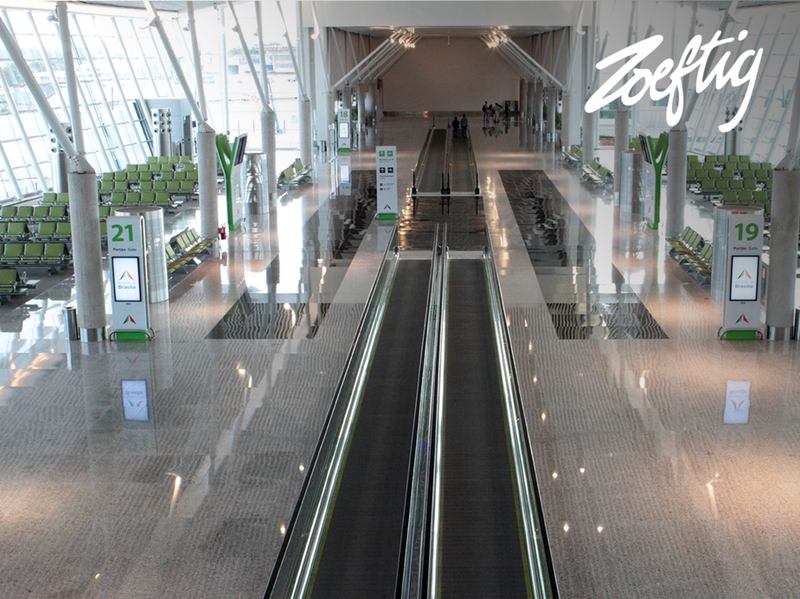 My second task was asked to create some stand graphics for their stand at Passenger Terminal Exhibition 2015. Once I had produced the graphics I was asked to make a 2D drawing on illustrator then importing pre-existing graphics to see what the PTE stand would look like. I was then asked to create an assembly of the frame work of the exhibition and placed the graphics on the stand and produced some renders to give the impression of what the stand might look like with the graphics in place. 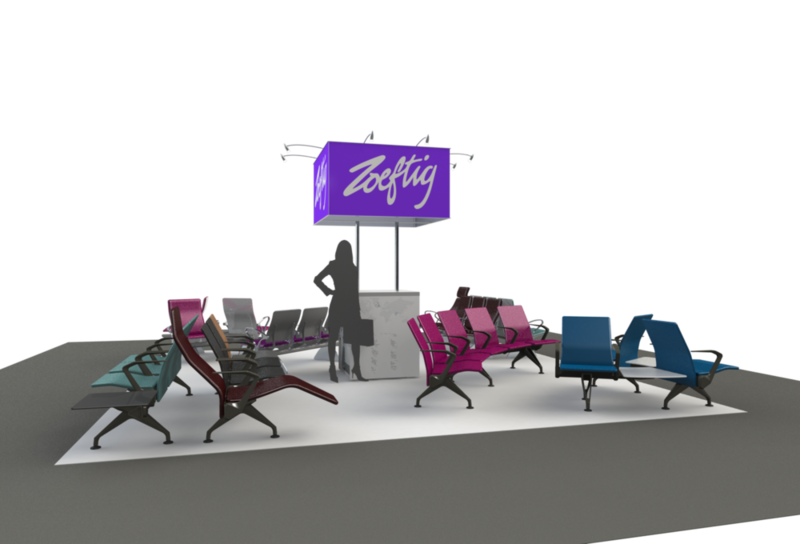 Once the renders were finished I was asked to add some of Zoeftig's seating in place. 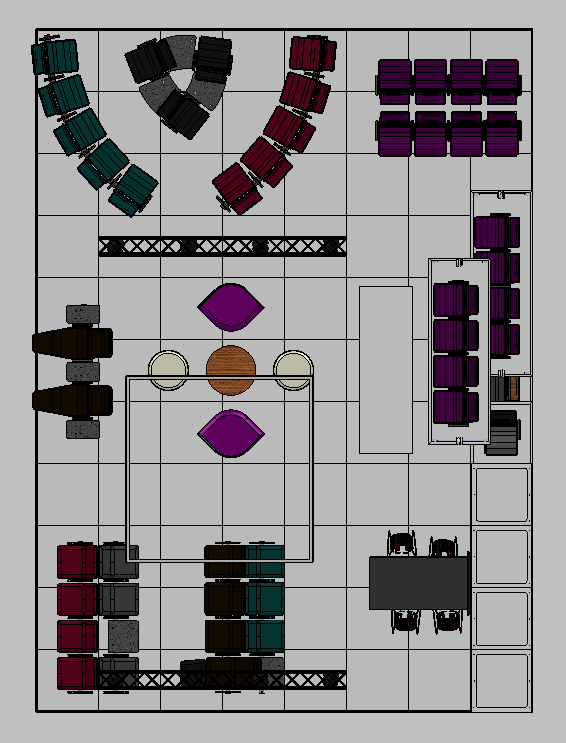 I was asked to plan the layout and produce some CAD drawings of how Zoeftig could transport their chairs in 3 crates, whilst making sure that the crates were used more efficiently. The design and layout were to be used for a Singapore exhibition and then would be taken to Jordan and then to Dubai for further exhibitions. 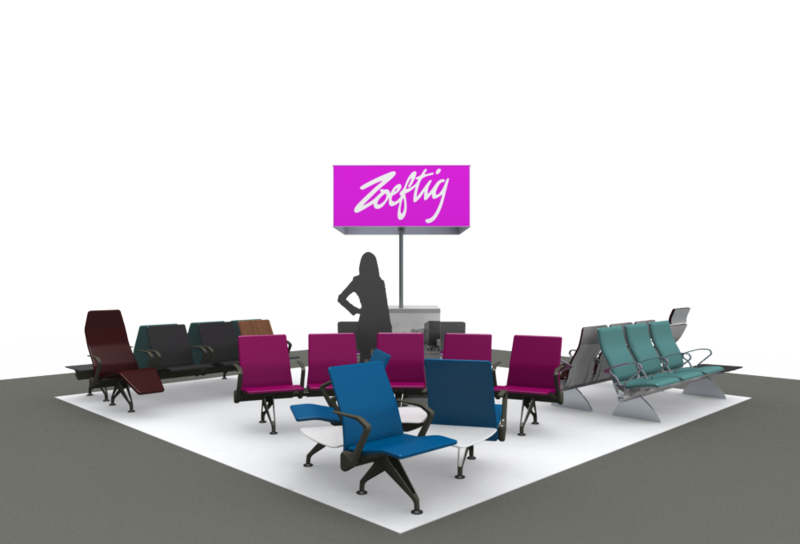 To show the variety of the Zenky seat (Zenky Duo and Zenky Plus Recliner) I was asked to produce some renders that were to be put in Zoeftig's Zenky brochure which was used to sell the seating to potential clients. 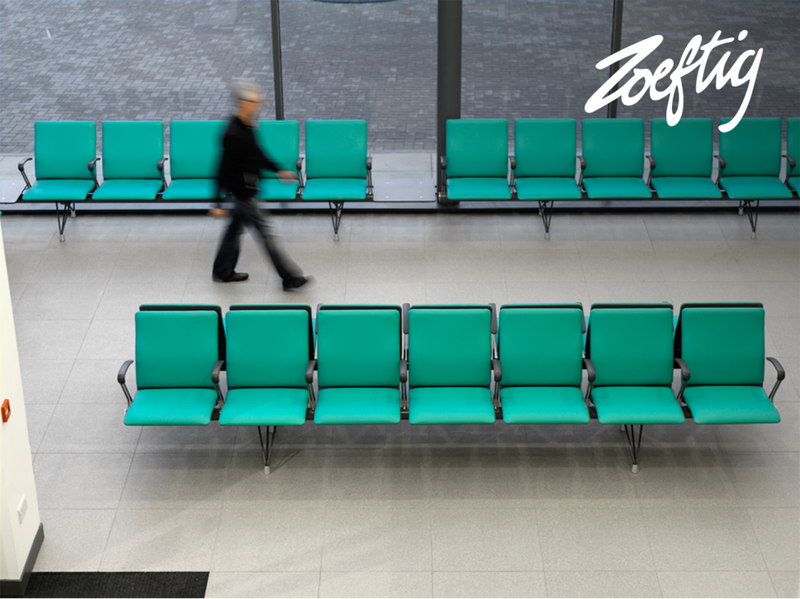 Using some images from Zoeftig's stock image area I was able to create an advert showing some of the locations where Zoeftig's seating can be found and the construction of one of their chairs, this video / slideshow was used at Passenger Terminal Exhibition 2015. 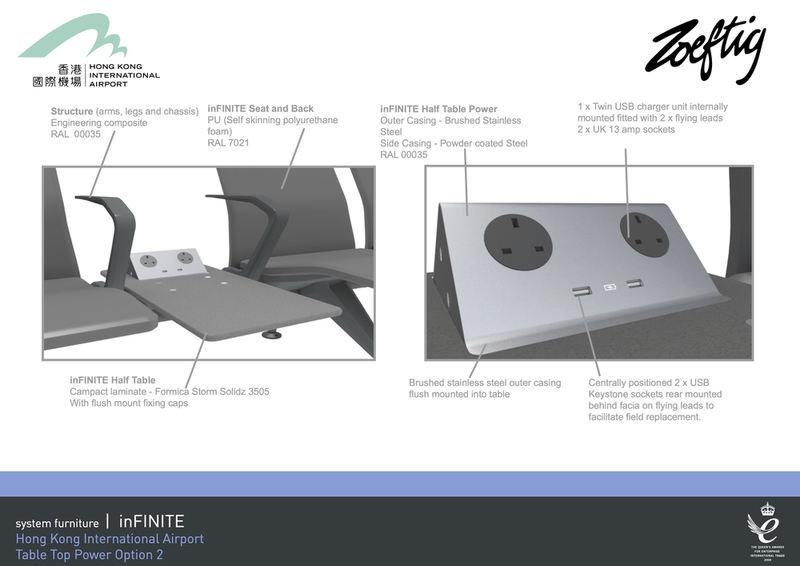 Whilst I was at Zoeftig they entered a competition to win a contract with HongKong International Airport, using my Skills in rendering I was asked to produce an 8 page presentation of their new power module for the inFINITE range. These pages contain information about the different power options between seats (short and long), cable management, the different configurations, the leg tether and the different options of table top power. Using the graphics from Passenger Terminal Exhibition 2015 allowed me the opportunity to create and design a small kiosk stand for AAAE and ACI, the design of the kiosk had a slightly smaller banner compared to the one used at PTE 2015 and in different colours, the kiosk also had to have a storage cupboard.